We would like to introduce our updated website for JAAGRUTI™ Waste Paper Recycling Services on the very platform, (namely this JAAGRUTI™ Blog) which helped start it all in a very humble way in August 2011. Under these services, we have till now proudly worked with around 200+ organisations and institutions across Delhi-NCR to manage and recycle their paper waste. If requested and required for, we also undertake educational initiatives (through workshops and ideas on print collaterals) to sensitize the employees/students of the institutions we engage with, to make them understand the relevance of recycling and inculcate the habit of ‘ segregating paper wasted by them for recycling purposes’ into their daily work/life regimens. Custom-made Recycled Paper Stationery: In 2014, we have also ventured into manufacturing of custom made paper stationery out of recycled paper and board for interested institutions at a very competitive price. It helps us close the loop on the chain if recycling, when institutions prefer to go green by opting to use and/or purchase/supplement their existing stationery with our products made of recycled paper and board. Interested? Please fill this form and we will get back to you. 3. Or you may submit your query here and we will contact you promptly. I wanted to know that can we start a combined initiative as ITC is doing to collect the waste paper from the households in Delhi or use the waste paper aggregated in Delhi slums? Do you also use cardboards to recycle? No. We dont. We are only focussed on waste paper recycling. Do you take waste visiting cards? 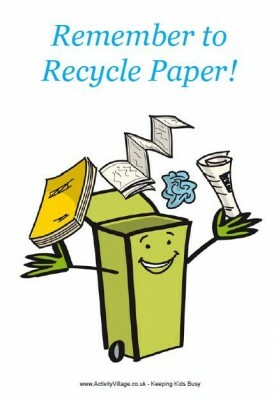 Hi , please update if you have presence in Mumbai Region to recycle paper .